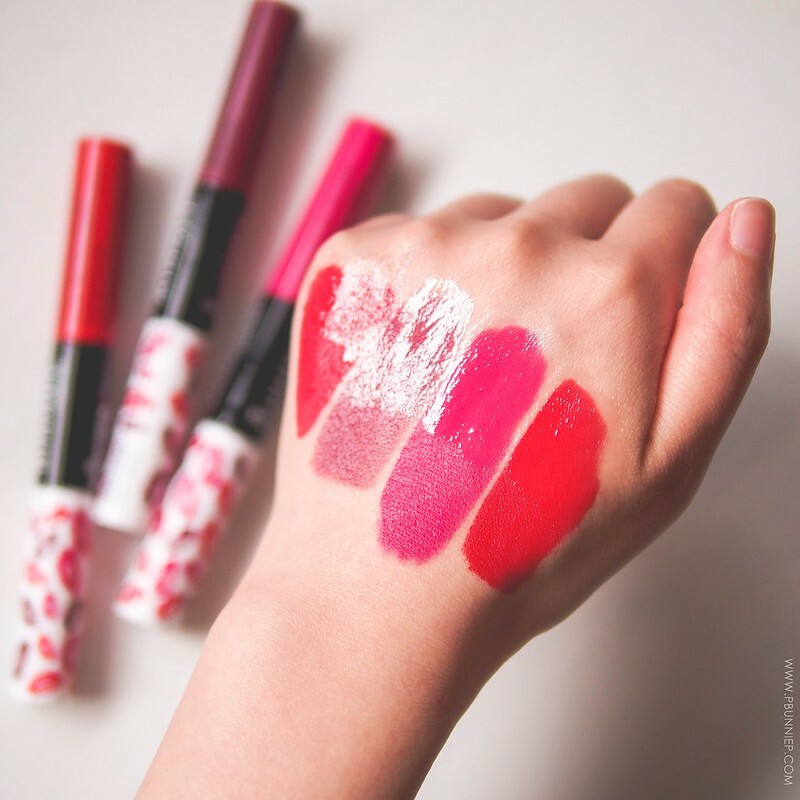 If there's one things to be said about makeup in 2015, it has to be the return of the liquid lipstick. Thankfully, gone are the 90s thick, goopy, frosty styles and in are new creamy, fluid formulations. 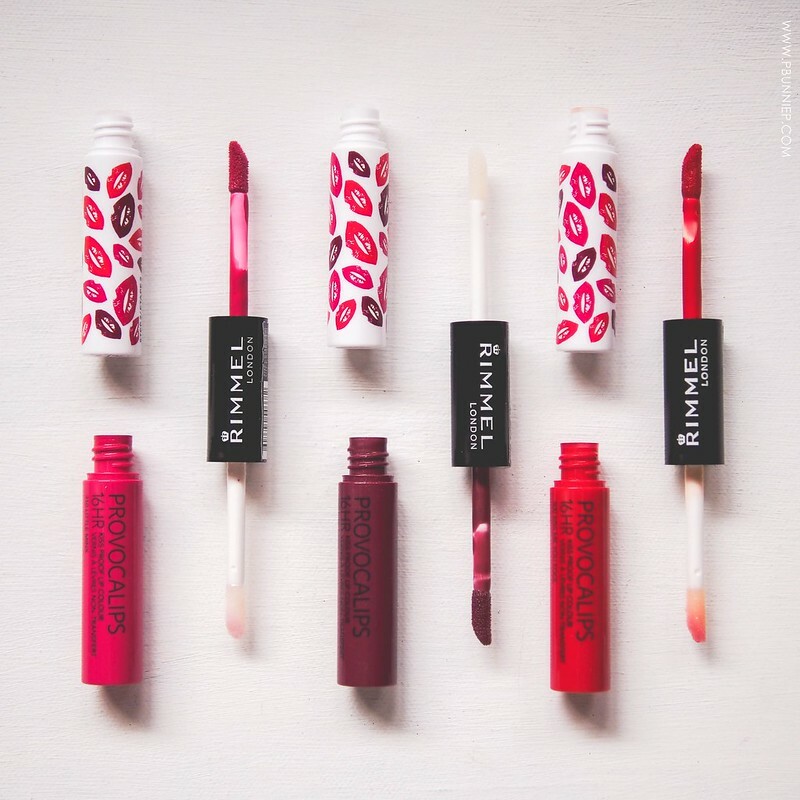 Starting off with Rimmel, whose Apocolips had me cringing more than swooning by the way (see evidence in this review), they released the sequel Provocalips earlier this year. 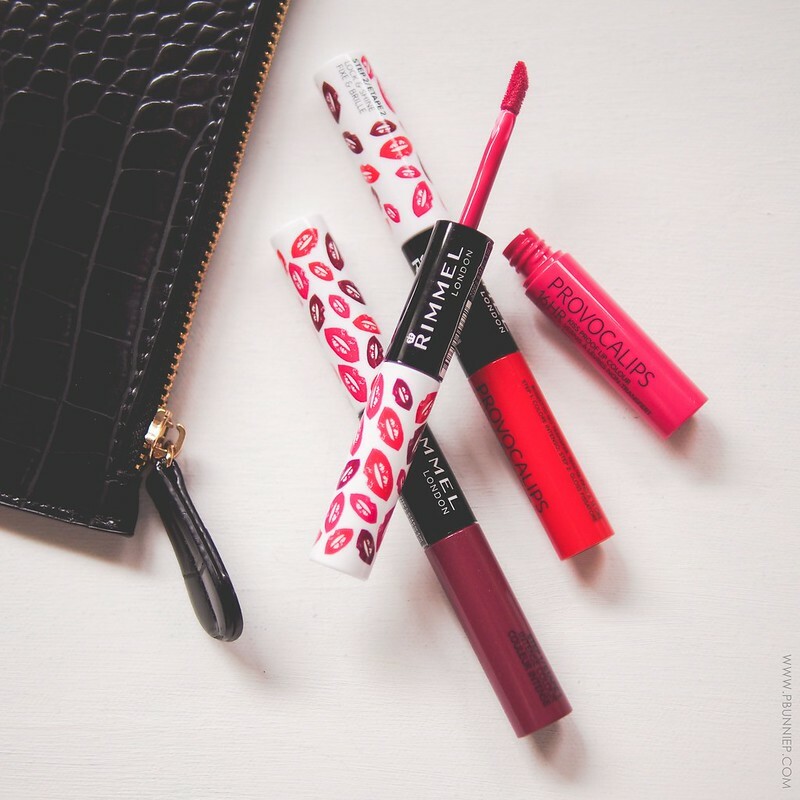 These 16HR Kiss Proof Lip Colours, as Rimmel calls them, come in a familiar and convenient 2-step applicator. Colour on one end and a gloss top coat on the other. The style is sleek and slim although I find fitting the length into my regular purse sized makeup bag just a bit cumbersome but slipping it into the side pocket of my handbag worked just fine. The range comes in 10 shades, leaning more towards the brighter end of the colour spectrum featuring some hot pinks, fuchsias and rich mauves. Most finishes are creams but there are one or two surprisingly frosty/shimmery picks. Again like the Apocolips, Rimmel has made the Provocalips for those who love big bold colour but this time tweaked for a long lasting effect which was exactly my complaint about the previous. 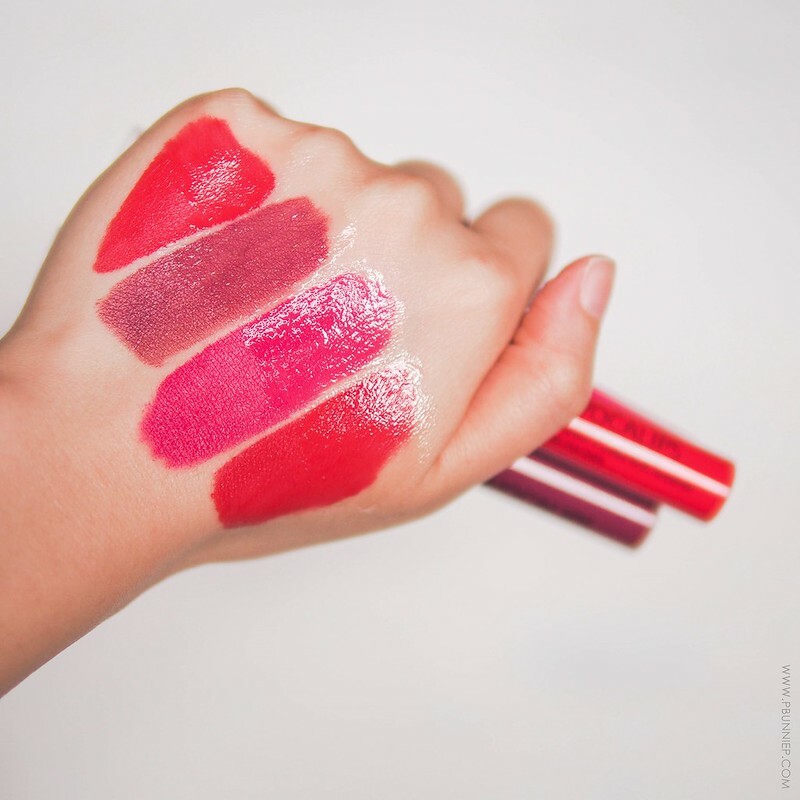 What you'll love is that these lipsticks pack a one-two punch of saturated colour plus a vinyl like shine. Attached to the central wand, the dual ended applicator has a thin liquid lip colour on one end plus a thick balm like gloss for hydration and a wet shine without the goopy feel. My nose did pick up a slightly hint of paint-chemical scent from the colour and a sweet lotion scent from the balm neither of which lingered long enough to be a distraction. 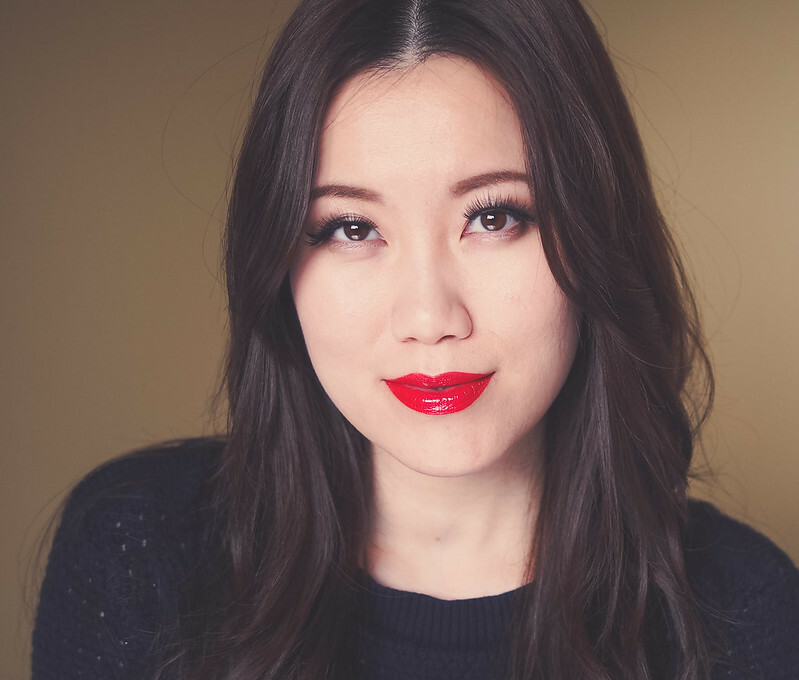 The fluid consistency of the lipstick itself makes the product easy to apply without feeling heavy even on slightly drier or more wrinkly lips and you have enough time to work the product into every crevice before it sets (essential if you don't want the color to crack when you smile). There's no need to use a lip pencil here as I found the wand perfect apt at creating a defined pout. Just make sure you have plenty of product on the wand to start as the product can spread quite thin and you want to have a good layer on your lips before it starts setting. Once locked and loaded, I had no fear reaching for that tapa at the snack table or sipping my drink. No shifting, no bleeding and very minor (if any) transferring onto people, food or objects. 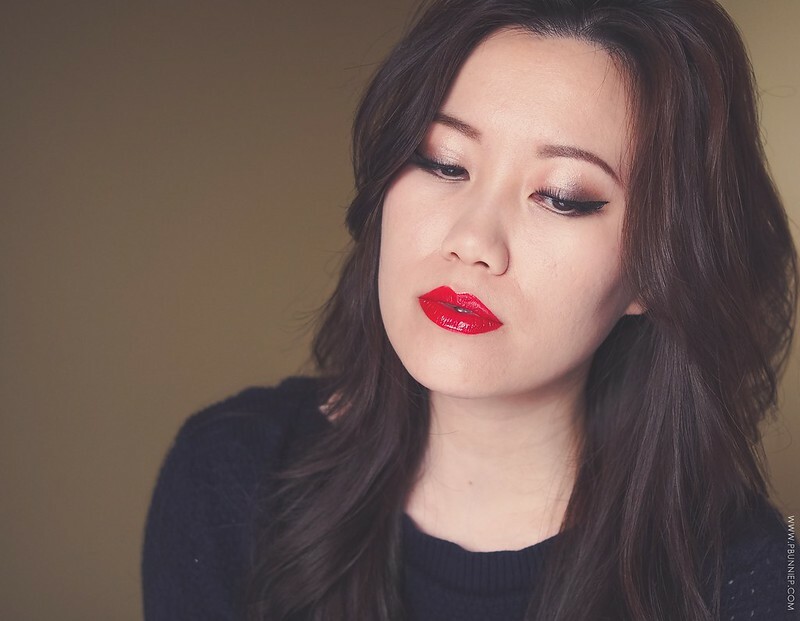 Now 16hrs is a far stretch but it would do you just fine for at least 3 hours at a party in your red lipstick without re-glossing or even checking the mirror. 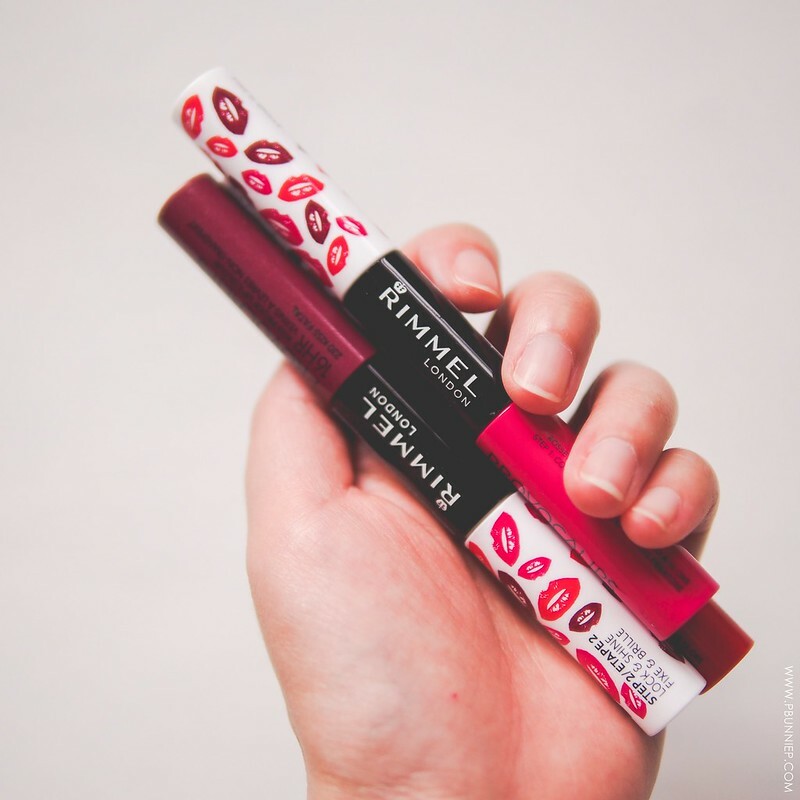 If you're really keen on making it last longer, top up the balm before it wears off to help preserve the look of the lipstick. Like all products of this type, essentially the colour step forms a film over your lips. At some point if the gloss is worn and the colour layer becomes exposed for a long time, the Provocalips will peel but because of the thinner formulation I did find this to be less noticeable than other film-like lip products. It is going to be the best option for dry lips? No. At the end of the day, wearing any kind of long lasting or matte colour will require you to prep with a good scrub and a moisturizing balm as part of your regular routine (just remember to blot the balm before applying this) but I'd say this is comparatively a very forgiving formulation. 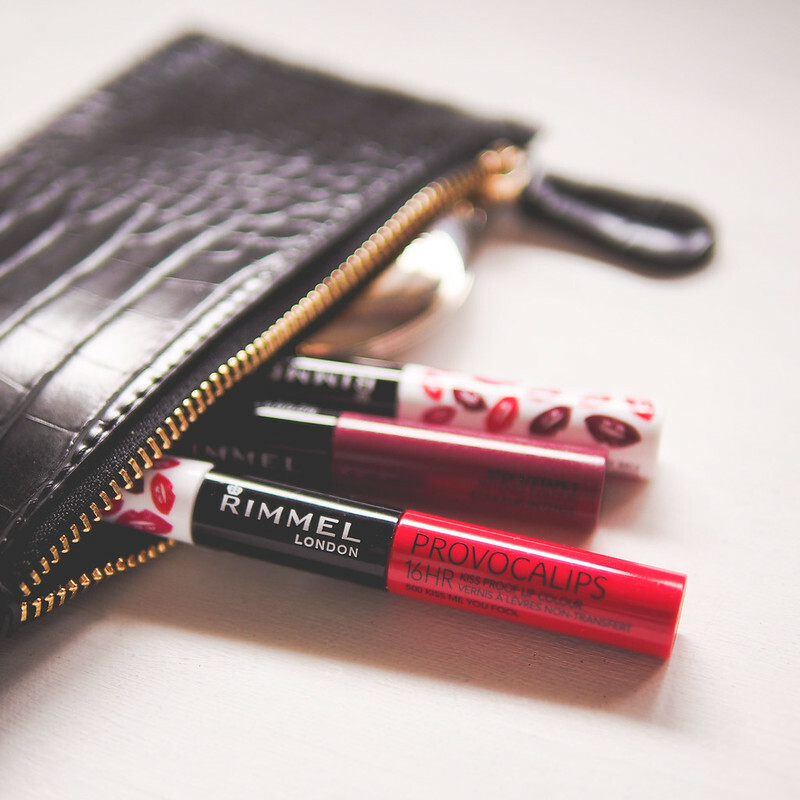 Rimmel's Provocalips is a lightweight, saturated and glossy long wearing lipstick that should wear well on almost everyone. The thin formulation doesn't shy from colour and the top coat creates an amazing vinyl shine that photographs superbly. The application is precise and the non-feathering factor means you can even sneak in an extra millimeter (or 3) around your lip line. Peeling is minimal as long as you stay glossed up and I'd have no worries leaving my mirror behind to head out for lunch in my Provocalips. Great well rounded product at a drugstore price...now only if they'd release a few more colours. INGREDIENTS: ISODODECANE, TRIMETHYLSILOXYSILICATE, DIMETHICONE, C9-13 ISOPARAFFIN, DISTEARDIMONIUM HECTORITE, ALUMINUM HYDROXIDE, PROPYLENE CARBONATE, SILICA, PROPYLPARABEN, PHENOXYETHANOL, TIN OXIDE, BENZOIC ACID, CALCIUM ALUMINUM BOROSILICATE, [May Contain/Peut Contenir/+/-: MICA, TITANIUM DIOXIDE (CI 77891), IRON OXIDES (CI 77491, CI 77492, CI 77499), D&C RED NO. 28 (CI 45410), D&C RED NO. 36 (CI 12085), D&C RED NO. 7 CALCIUM LAKE (CI 15850), BARIUM SULFATE (CI 77120), BISMUTH OXYCHLORIDE (CI 77163), CARMINE (CI 75470)].